Hello lovelies, as if it is Monday already?! Here are a few snaps from last weekend when I went to Ludlow and Ironbridge. 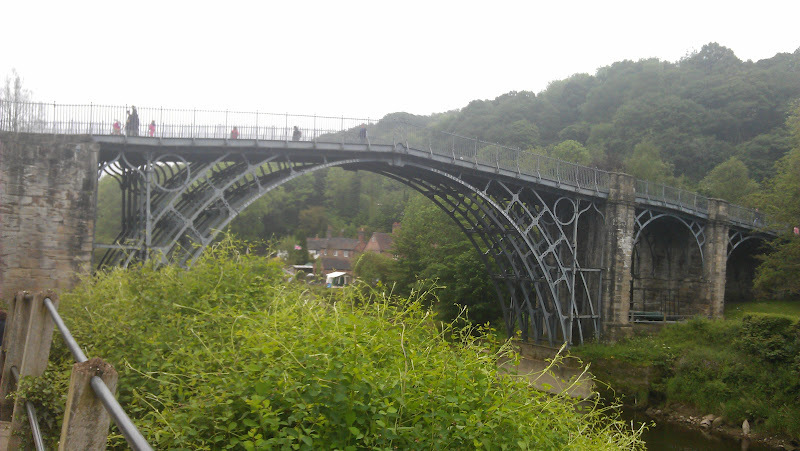 The weather was appalling but the towns were so pretty, especially Ironbridge. What did you get up to this weekend? I have never seen a rose this colour before, so pretty (I am miss titmarsh). This building is something out of my dreams, it is the Musuem of the Gorge, catchy title no. This swan was having a kip right next to a pub called The Swan Inn, I think it had some kind of contract to be hanging around to promote business. 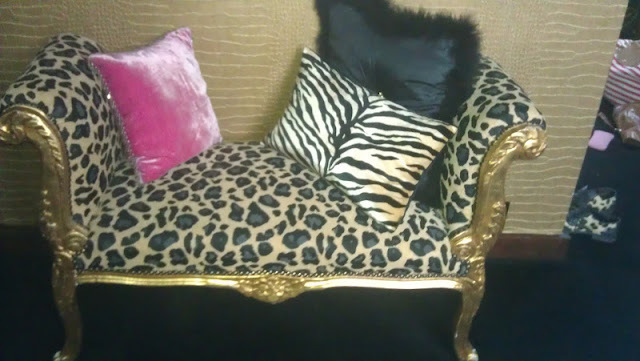 The hotel we stayed in had the most OTT furniture I wanted to lounge on this but didn't get chance, check out my brogues in the background, I do sometimes co-ordinate with furniture. My lovely has a pork pie addiction so this place was right up his alley. I have a dress addiction, new purchase from Ludlow 1940s I think taffeta green dress, need to put in a side zip as it actually will not go over my rugby player shoulders which is most unsettling (I never try anything on). Oh those lavendar roses are exquisite, I've never seen anything like them before. This looks like a quaint cute location. Shame about the weather but it looks like you still had a nice time. What a pretty little town, I'd love to visit there one day. Gorgeous dress too, hope the side zip goes in ok. I understand there is a good vintage shop at Craven Arms - must be a good vintagey area. Oh I did see something about Craven Arms will have to have a visit there too! The colour of those roses is unbelievable! I want to find some and pick one, and preserve it in... whatever preserves flowers, and put it in a glass bell display jar. Seriously beautiful.